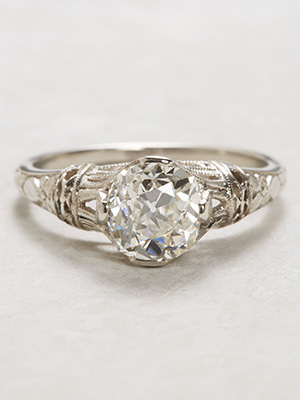 Delicate orange blossoms trail down the sides of this antique engagement ring, letting the EGL certified Old Mine cut diamond take full center stage. 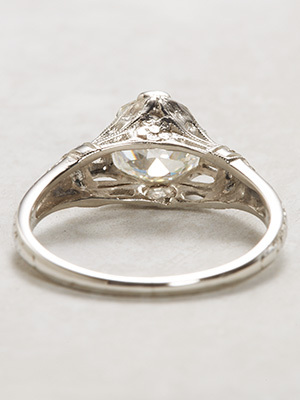 A kiss of the orange blossom's good fortune blesses the start of your life together in this antique ring by Traub. 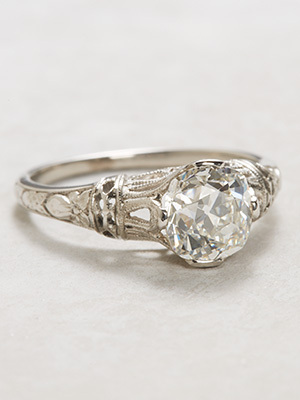 This late Edwardian engagement ring adds a romantic splash to the traditional diamond solitaire. Details: Antique, Edwardian. Circa 1920. Trademark: Traub, Orange Blossom. Platinum. 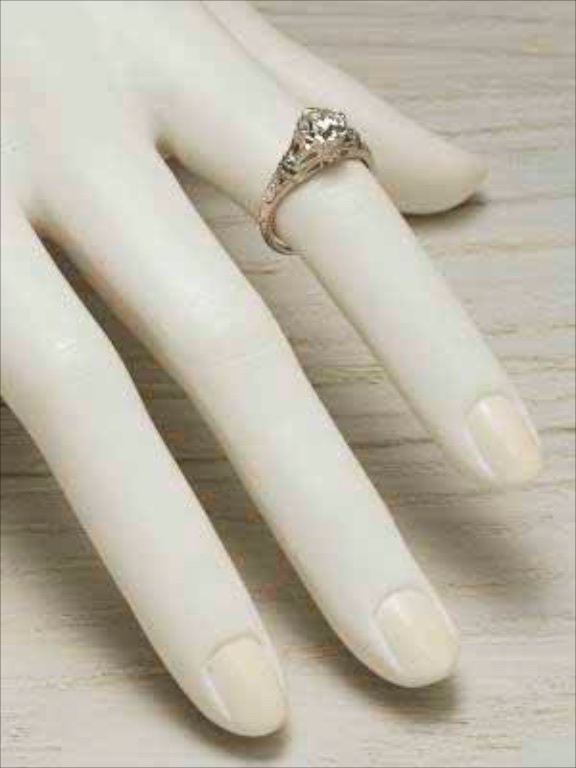 Old mine cut diamond; 1.32 carats. 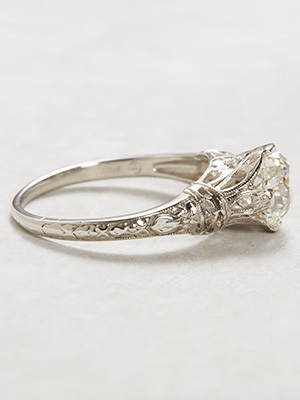 Special characteristics This classic pierced filigree engagement ring in platinum features a 1.32 EGL certified 1.32 carat Old Mine cut diamond. The mounting is stamped Traub, Orange Blossom.